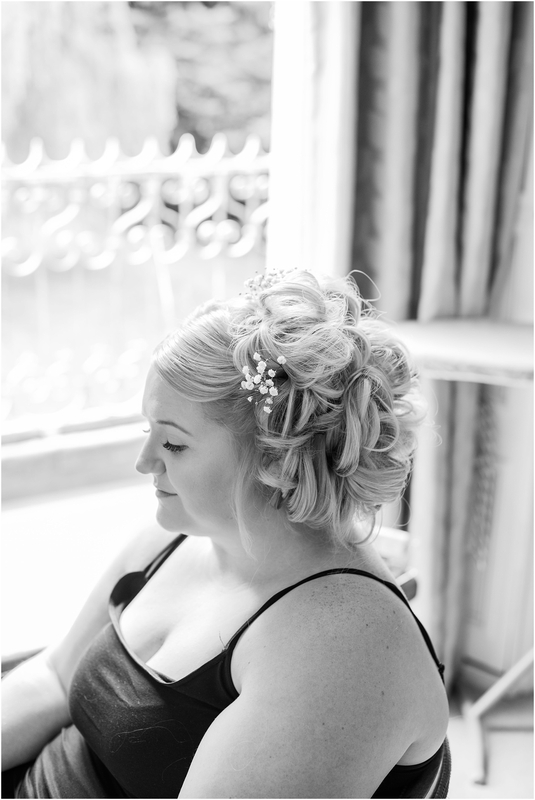 I met Becki through a good friend of mine, Emma who happens to be Becki’s cousin. 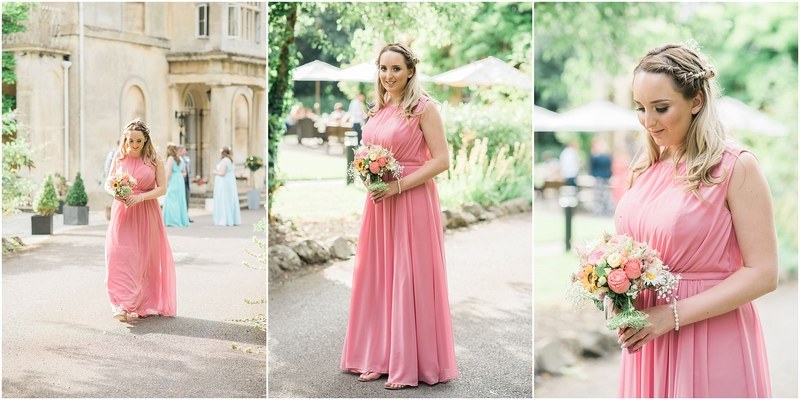 Emma kindly recommended me to both Becki & Aaron and soon enough I found myself sitting outside Chiseldon House on a warm spring day speaking all things wedding with Becki and her mum. 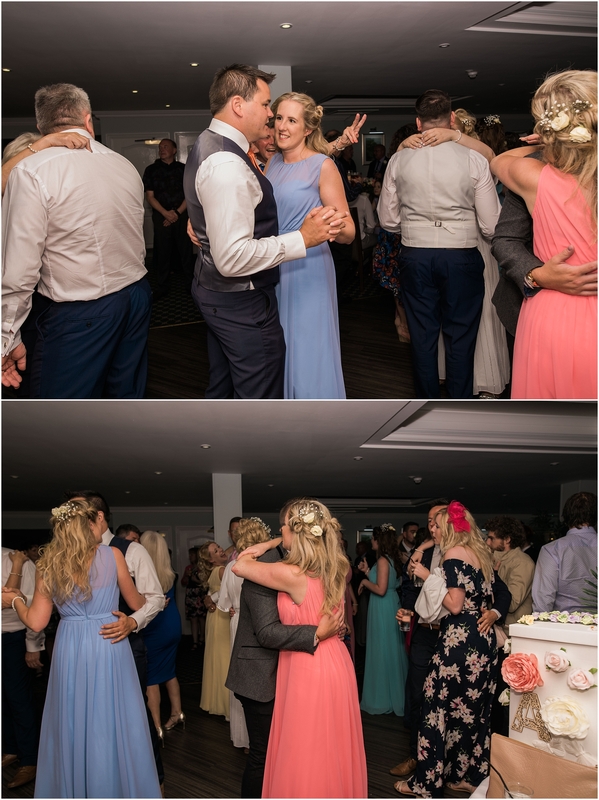 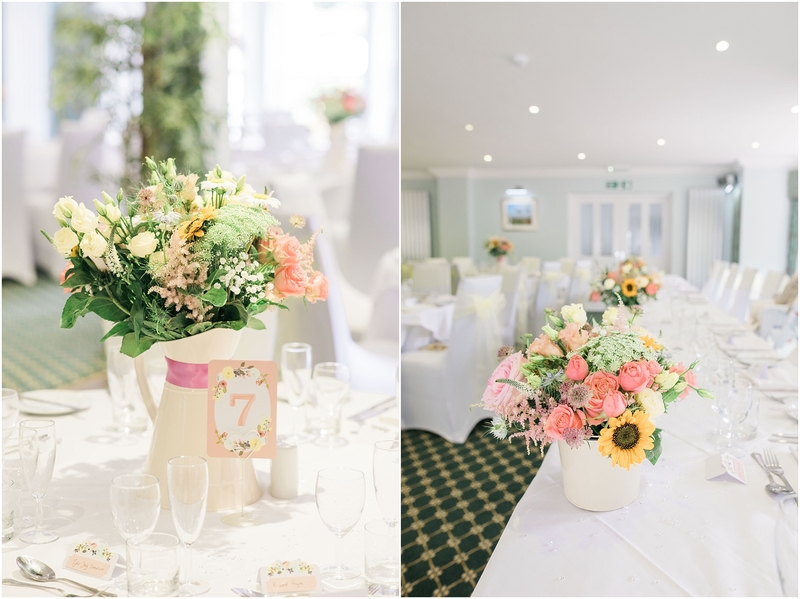 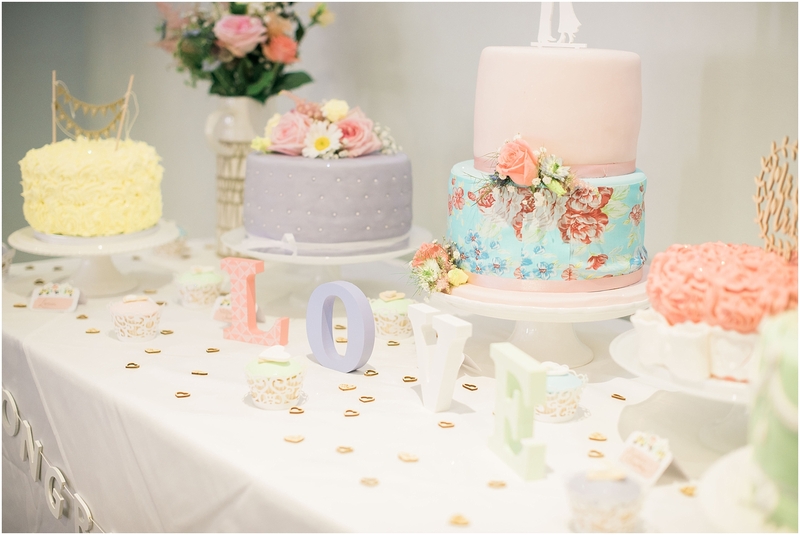 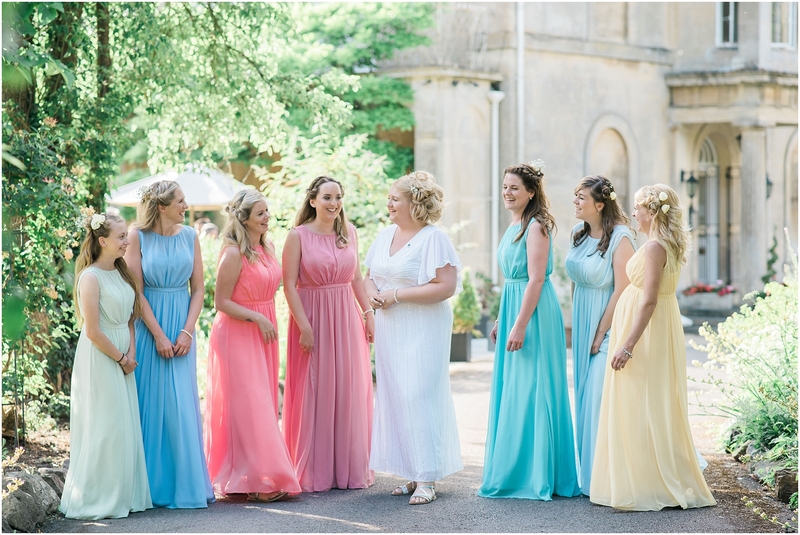 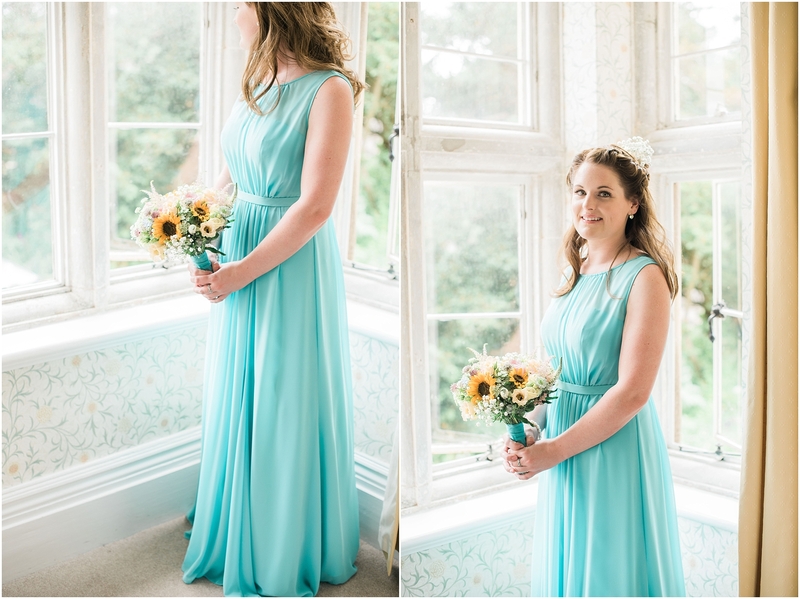 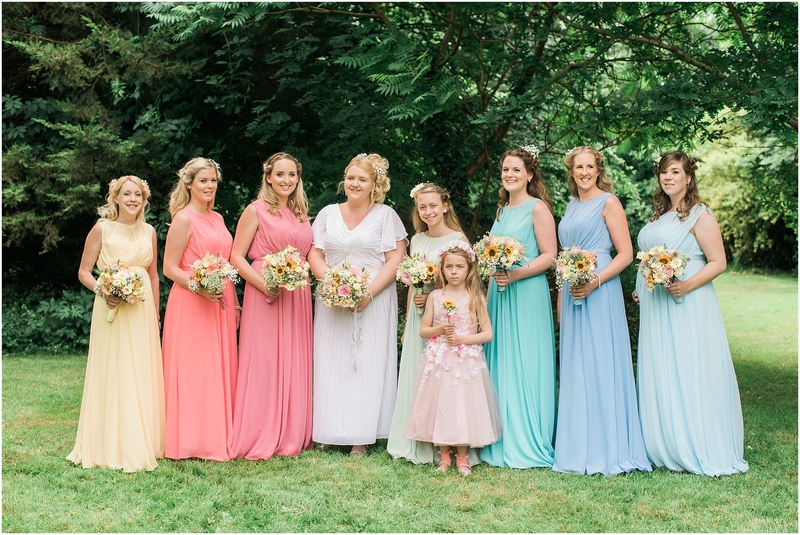 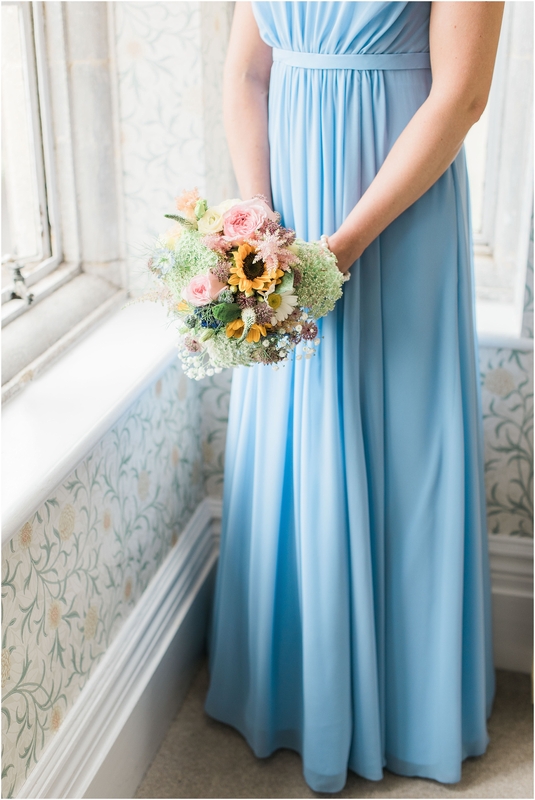 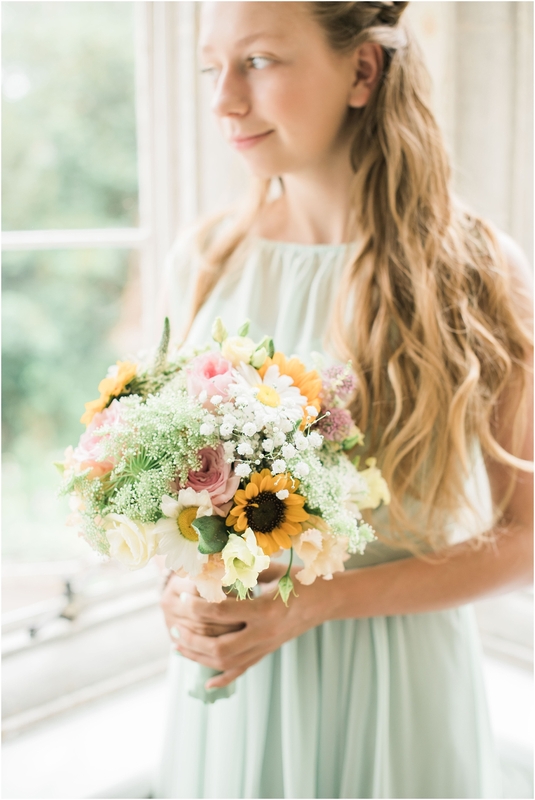 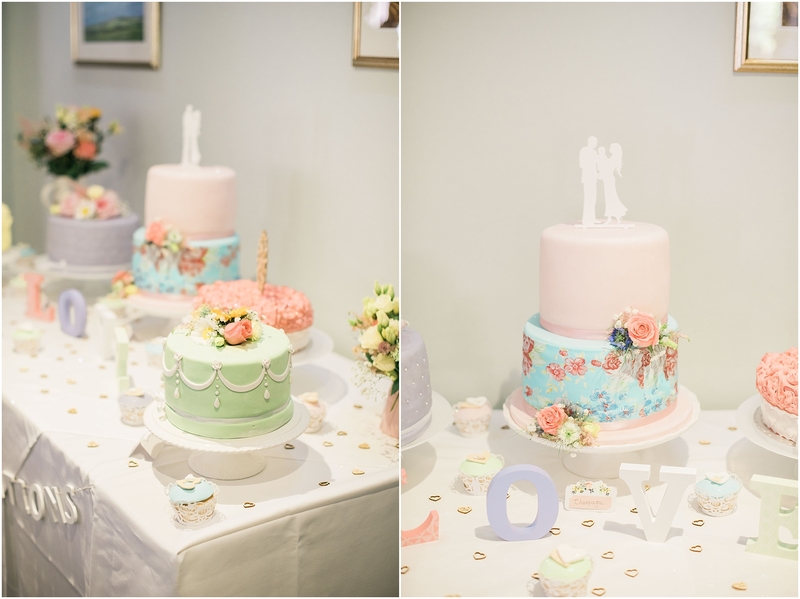 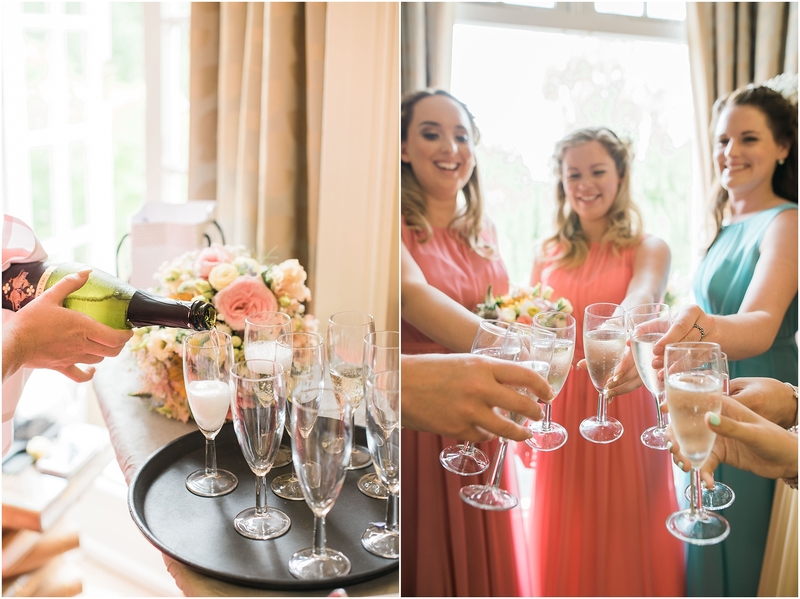 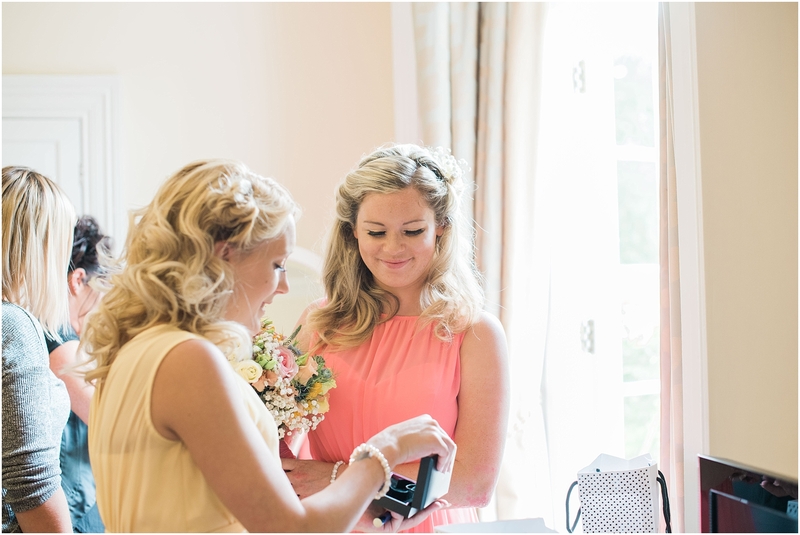 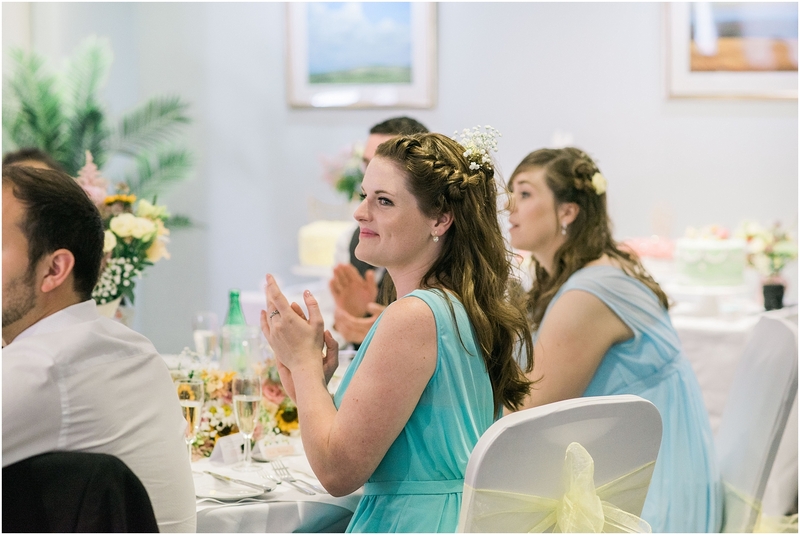 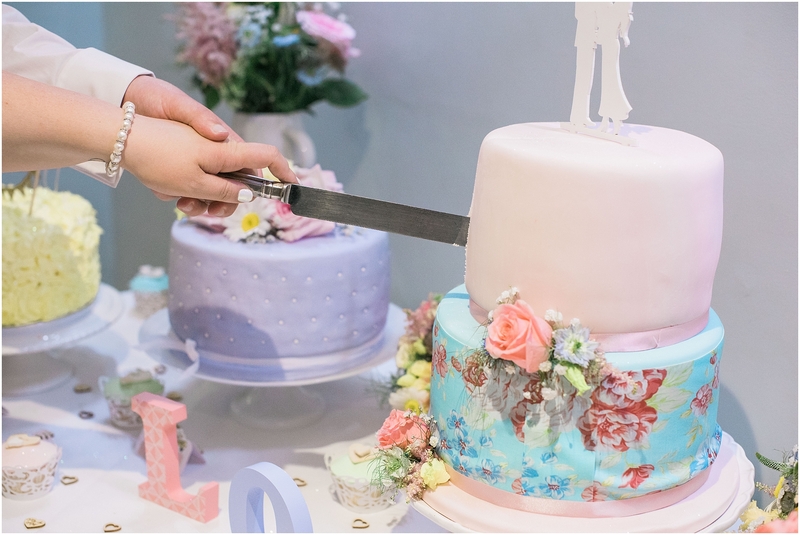 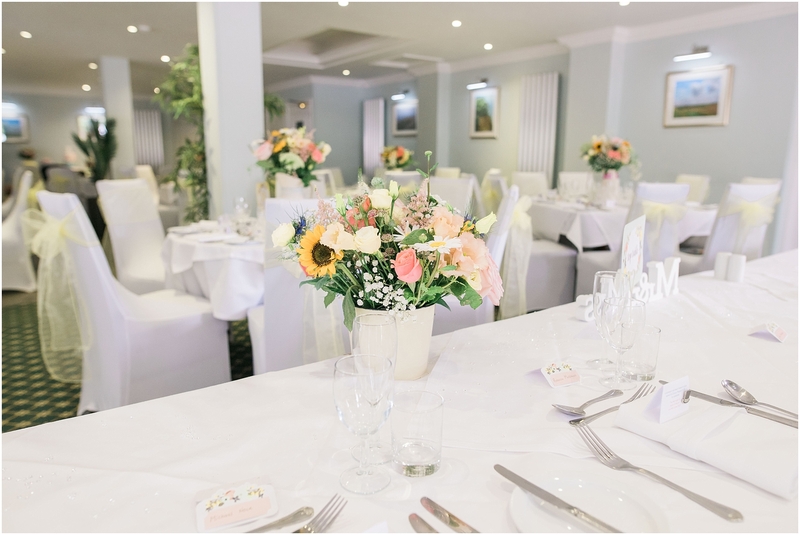 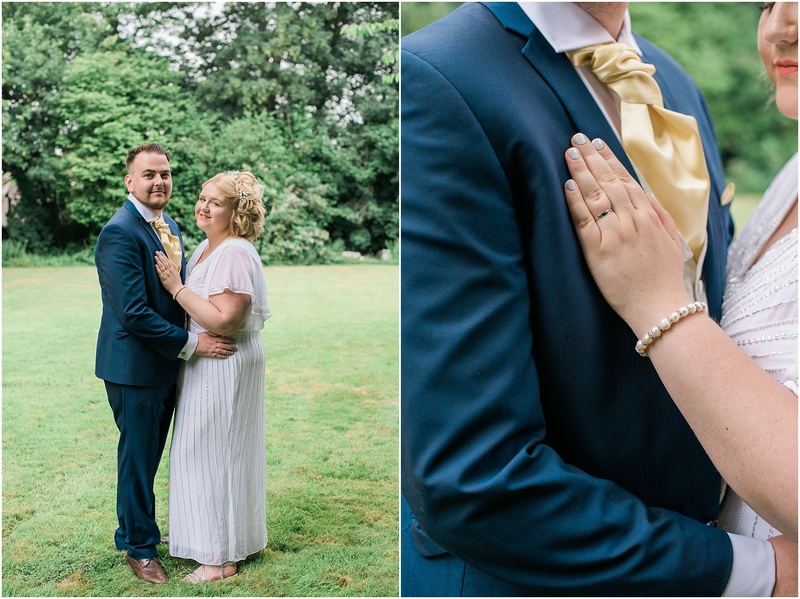 Becki’s theme for her wedding day was simply ‘pastels’ and when she told me all 7 of her bridesmaids were wearing different shades of pastel coloured dresses, I knew it was going to be a beautiful wedding. 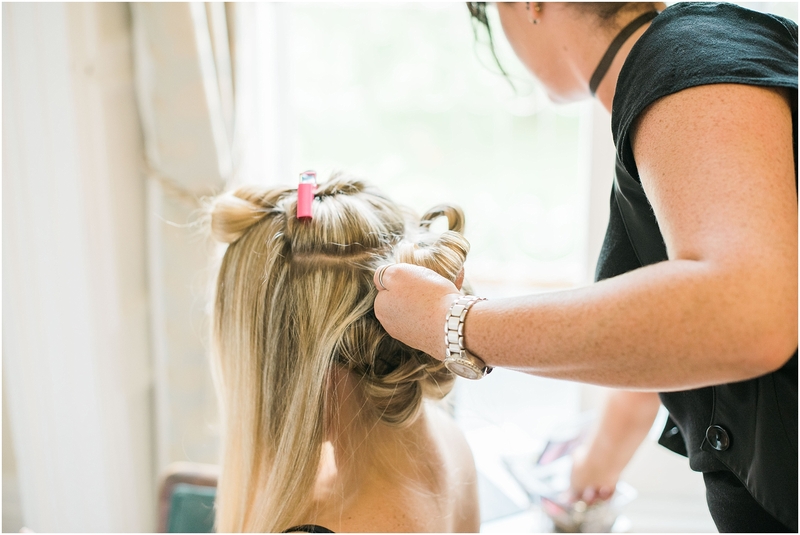 With so many bridesmaids getting ready in one room, I arrived early to make sure I captured all of them getting their hair and makeup done. 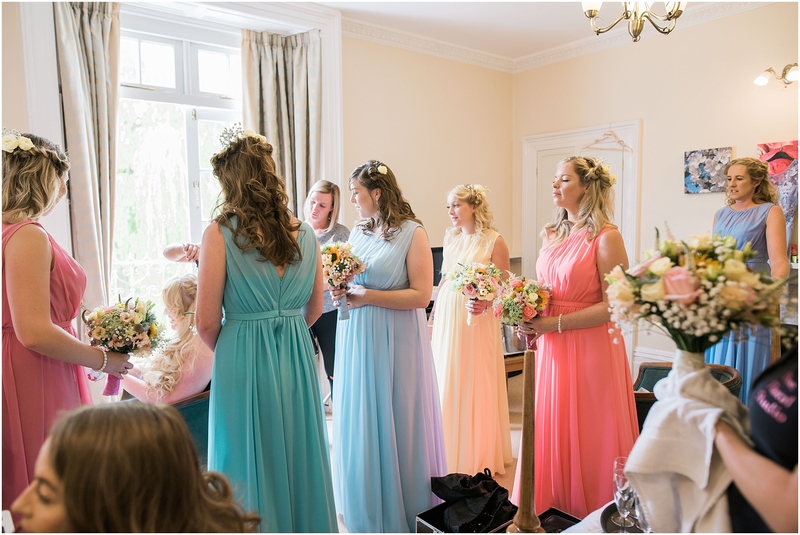 Minus the room of Carly’s wedding prep, this was probably one of the busiest rooms I’ve been in during bridal preparations and it was my favourite part of the day. 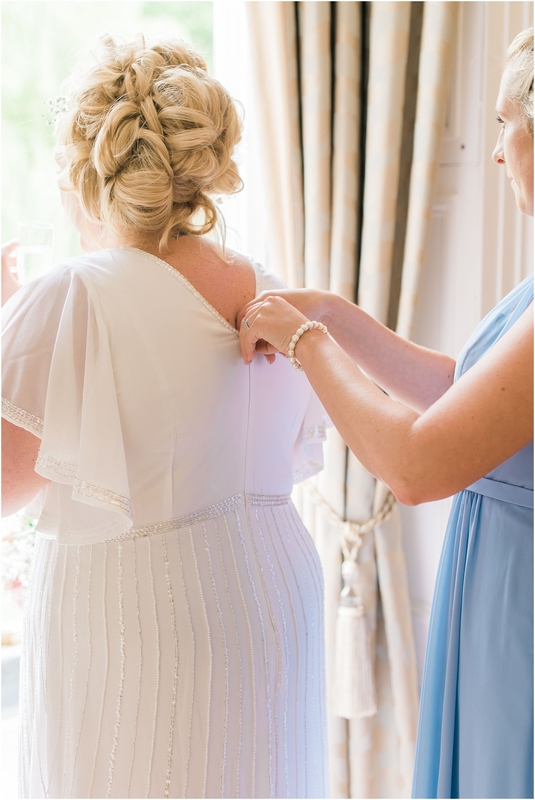 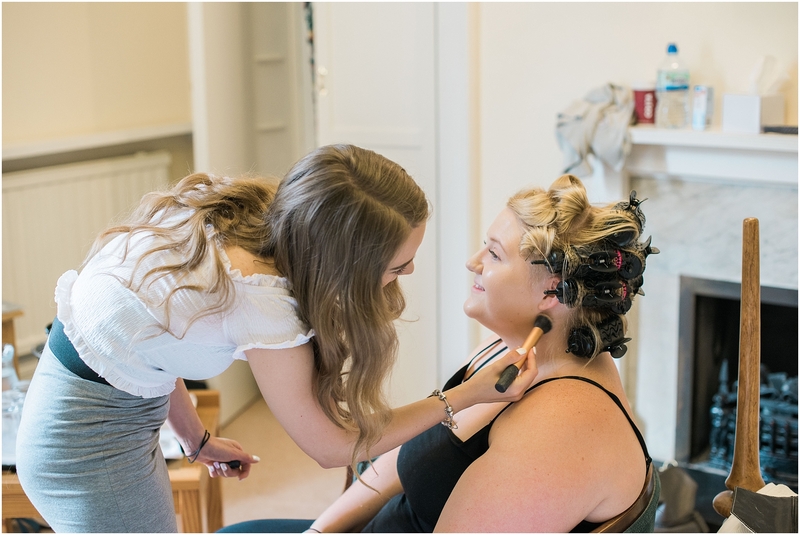 In fact, all bridal prep is my favourite part of the day as I love to capture all the little details which make up the story of a wedding day. 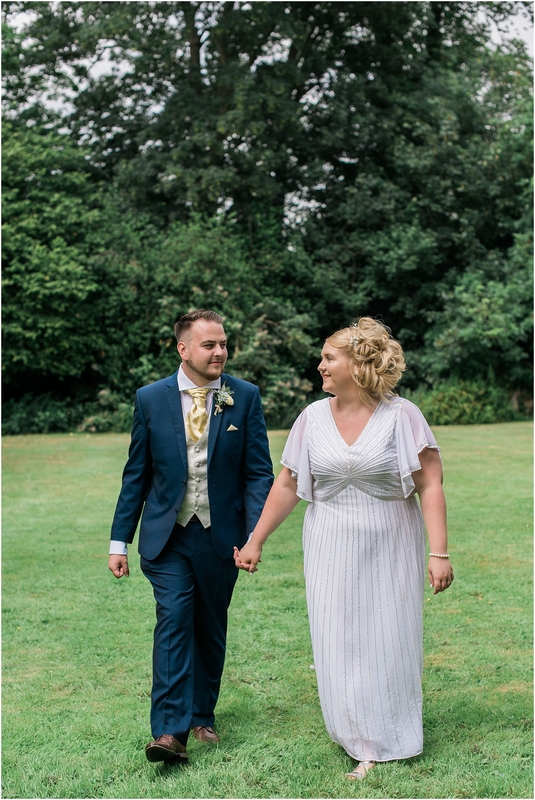 Becki’s dress was actually the second dress she bought for her wedding day because the first one she purchased never felt like ‘the one’. 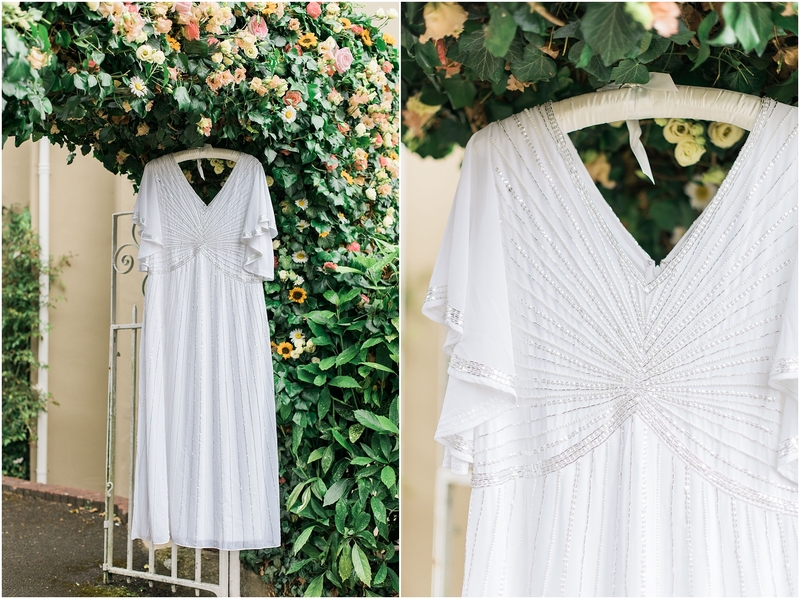 When she found this vintage style one however, she knew it was the perfect dress for her. 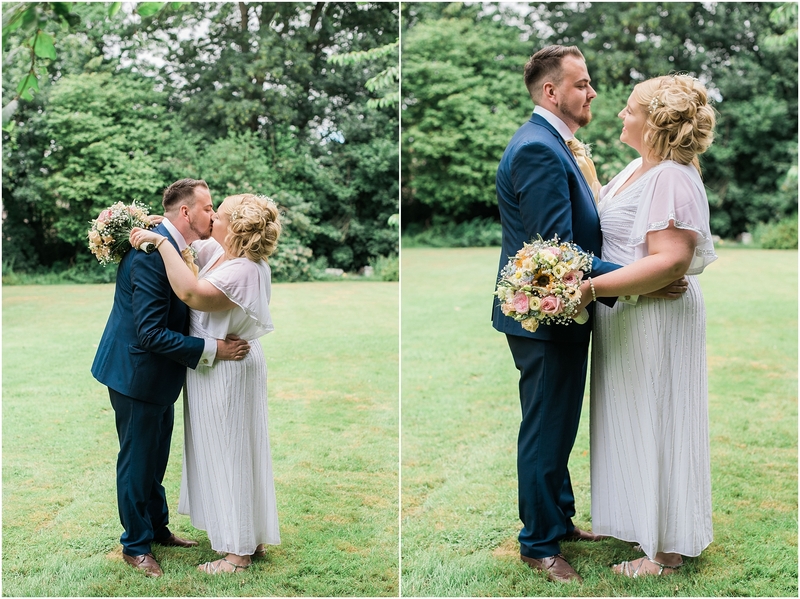 And because of the simplicity of her dress, I was able to take it outside with the help of one of Becki’s bridesmaids and photograph it hanging from the flower arch that later on, Becki and her bridesmaids would be walking through to get to the ceremony. 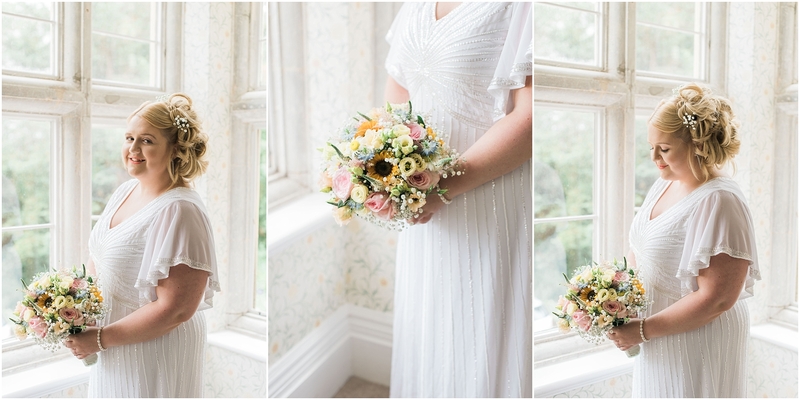 There are some lovely places to photograph details at Chiseldon House Hotel, especially the window in the room opposite the bridal suite. 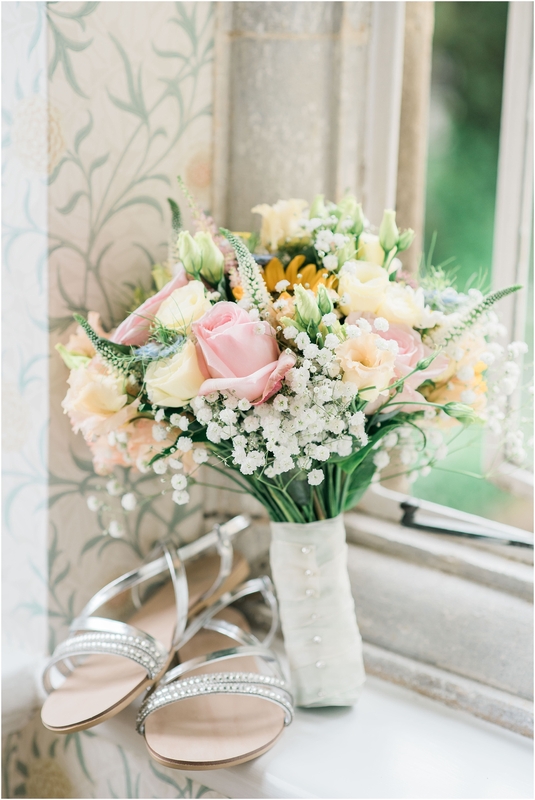 I loved the stone window sills and Becki’s bouquet looked so pretty propped up in the corner. 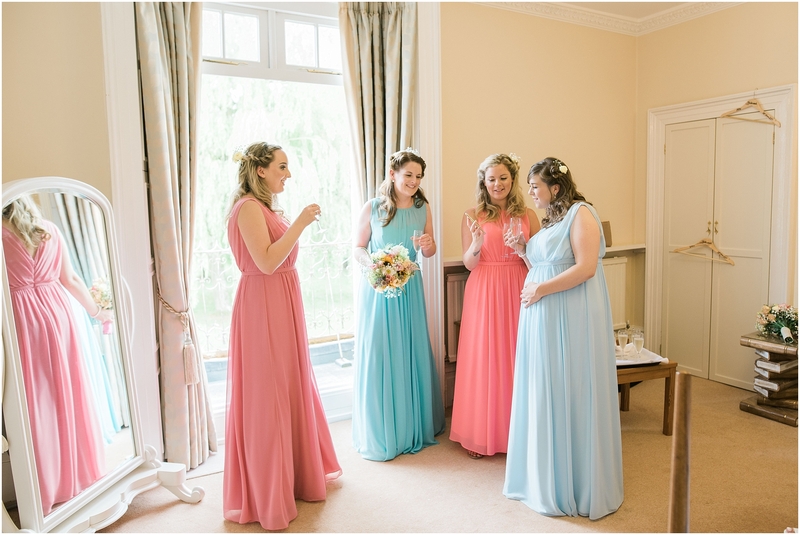 I also chose this room for portraits of the bridesmaids as it was safer to photograph them inside than run the risk of being seen by ay of the guests who by this point had started to arrive. 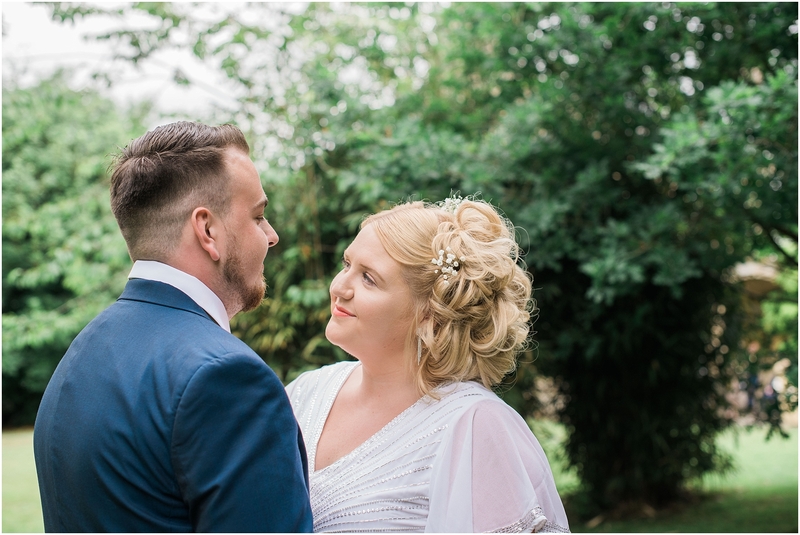 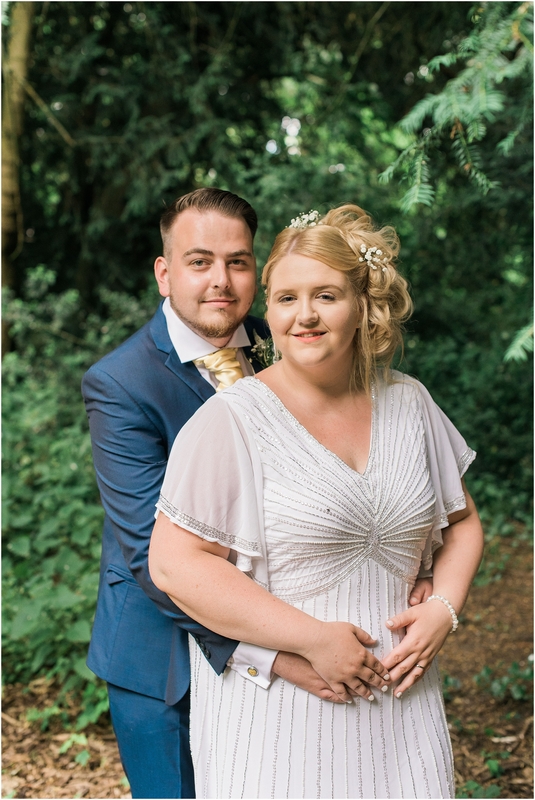 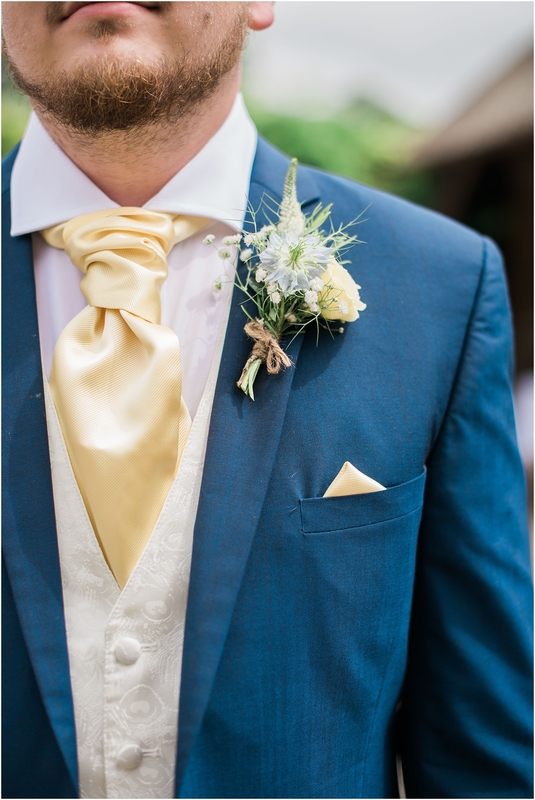 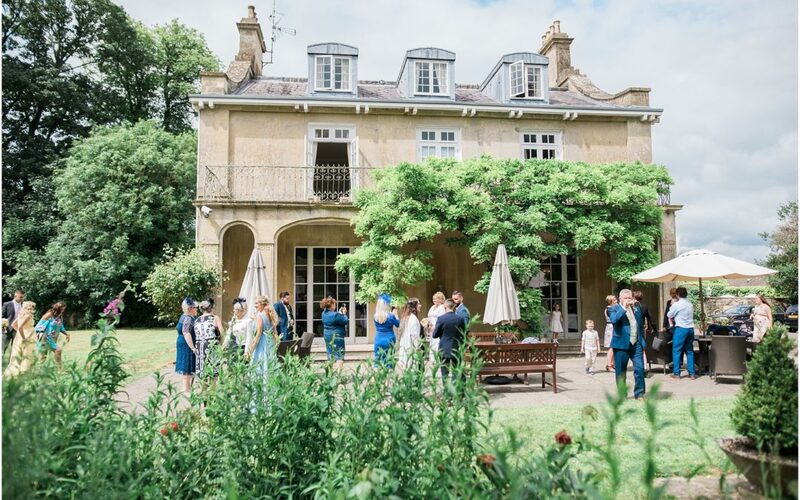 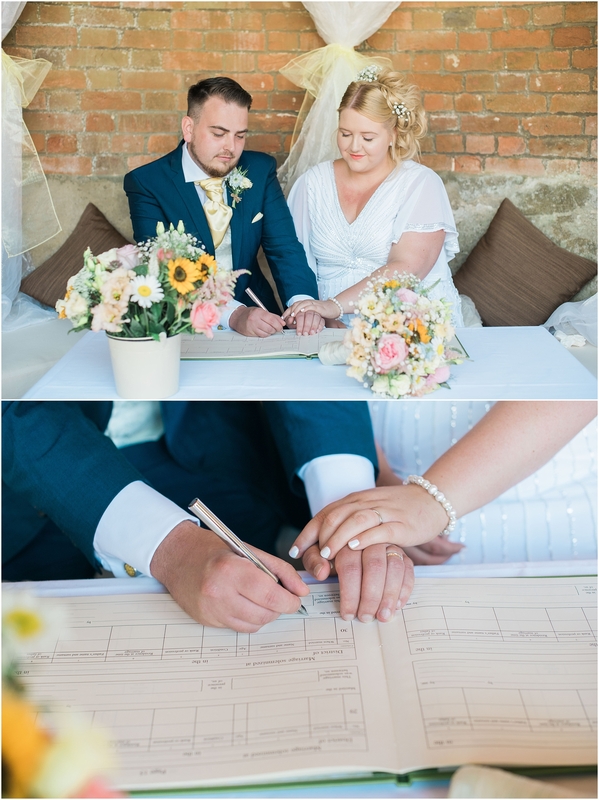 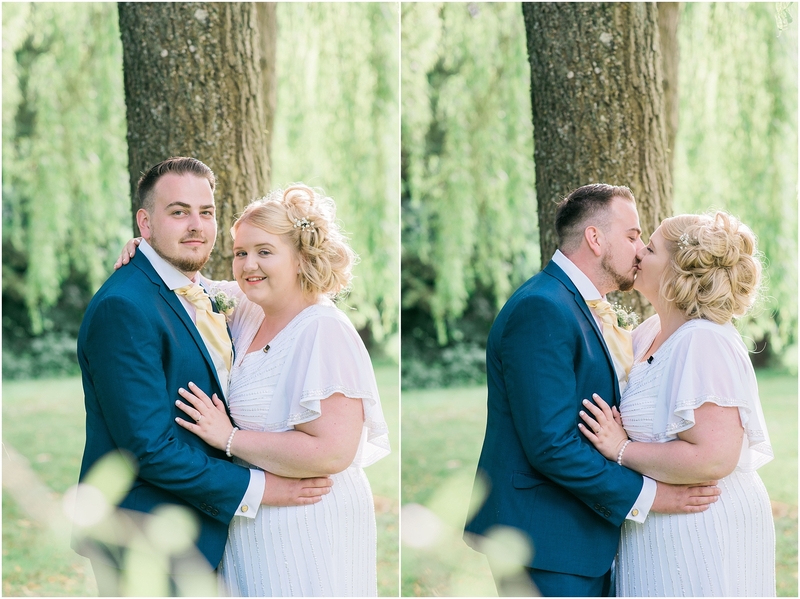 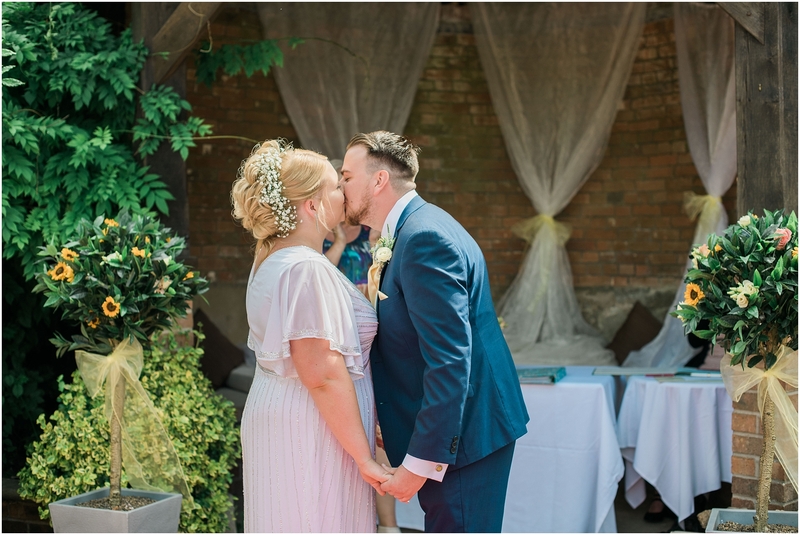 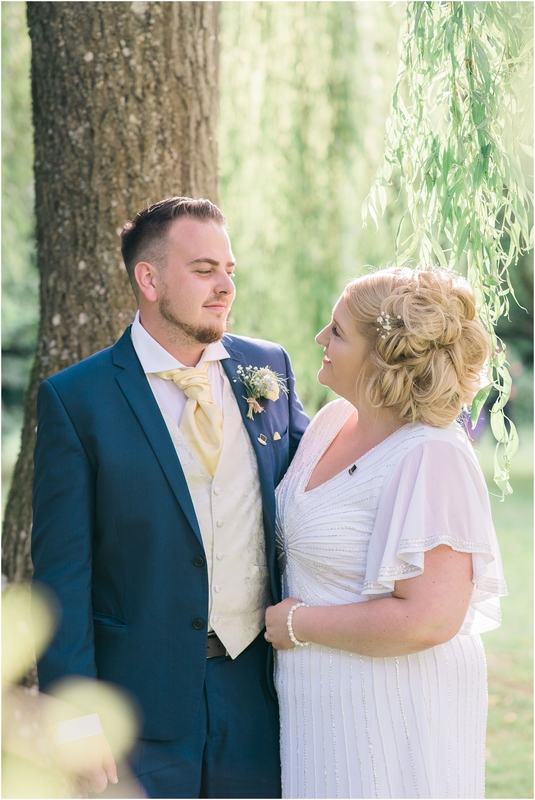 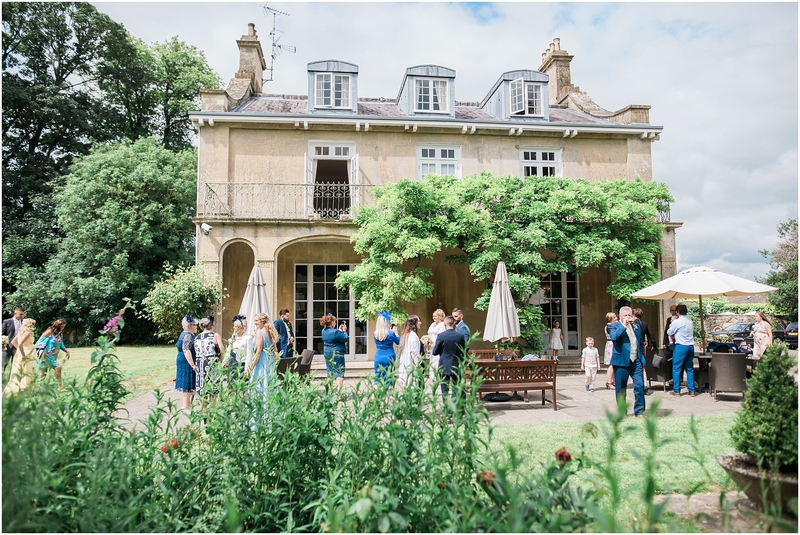 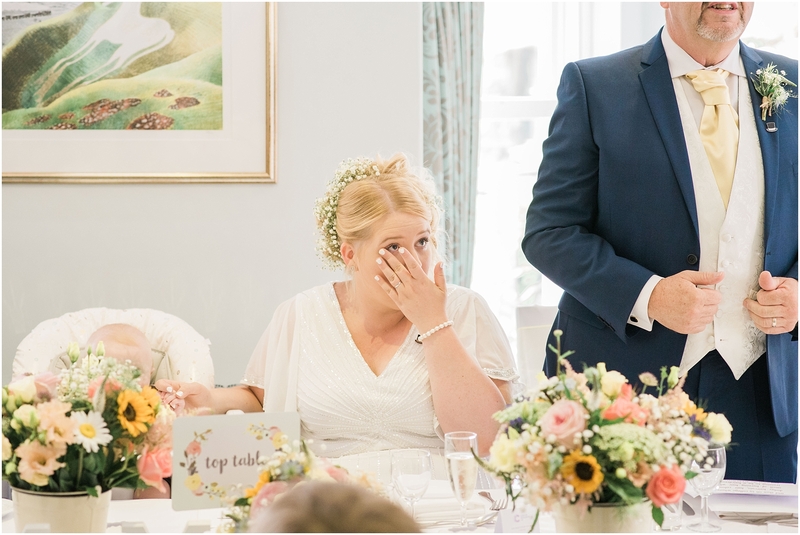 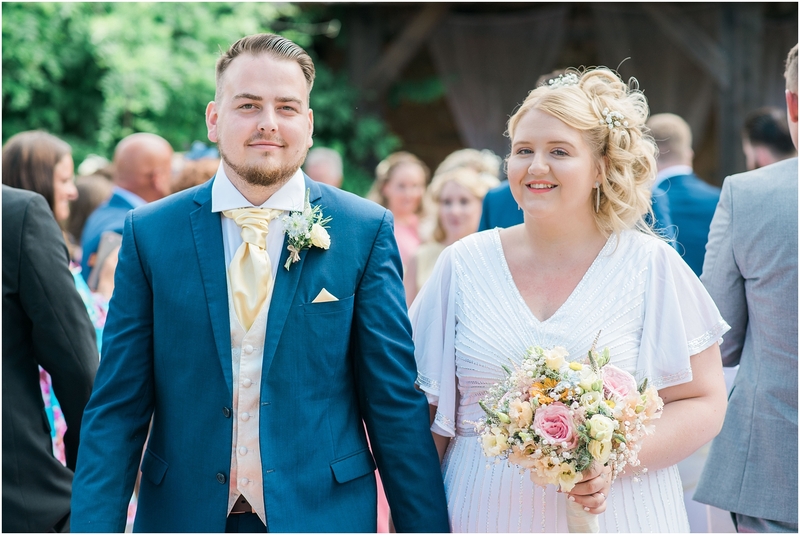 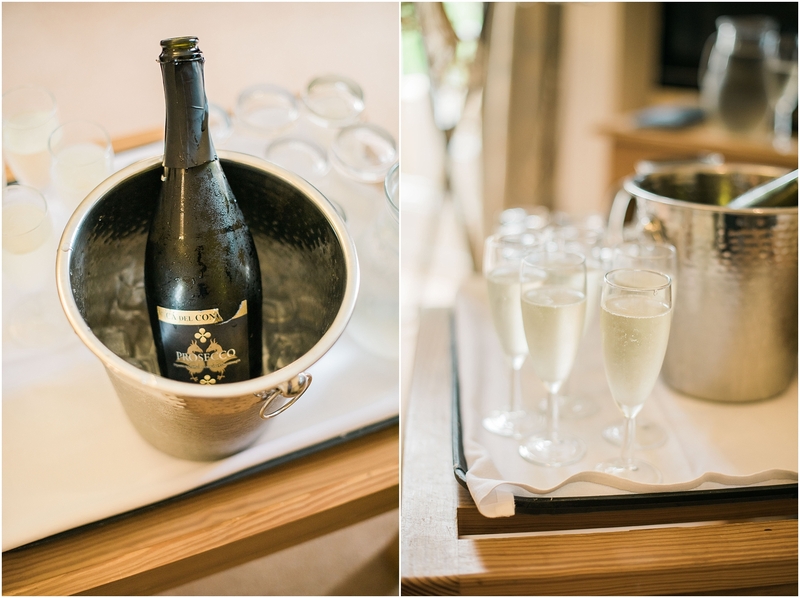 The day unfolded beautifully and the weather meant Becki, Aaron and their guests could take full advantage of the stunning grounds that Chiseldon House hotel has to offer. 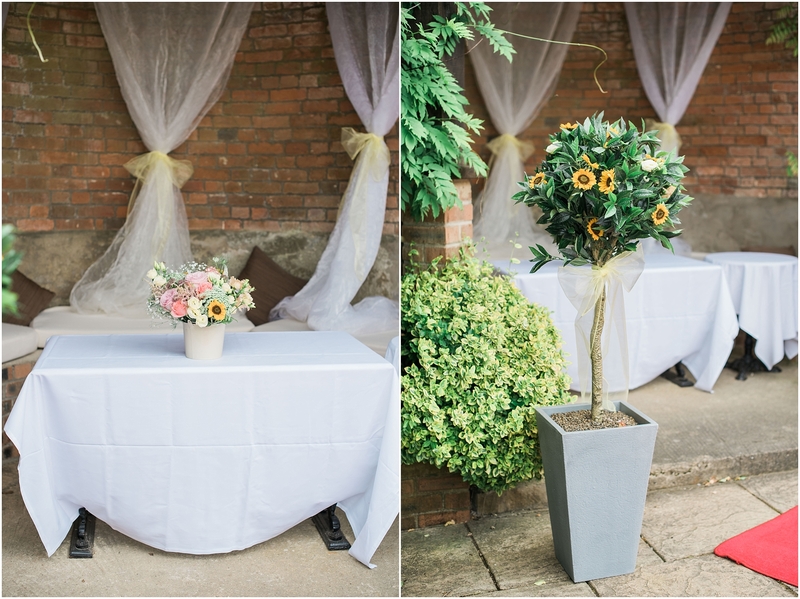 It also meant the could get married outside which is always music to any photographers ears. 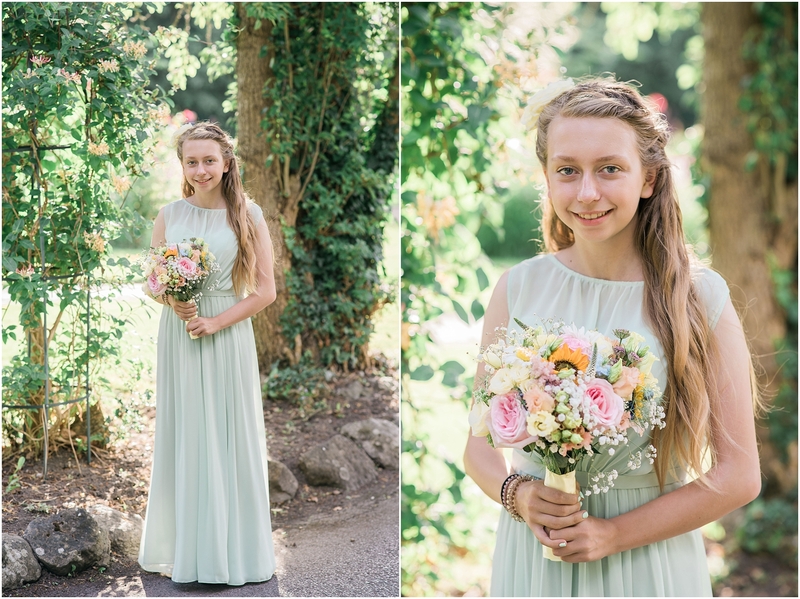 Here are a selection of their images from the day. 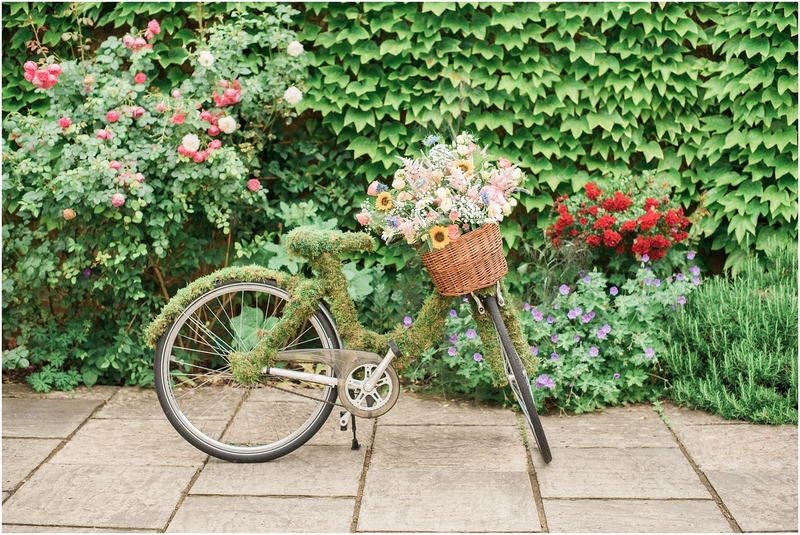 Just check out the floral bicycle!